Megami Tensei spin-off series Persona looks great. Its characters are cool. Their clothes are cool. Persona is cool. 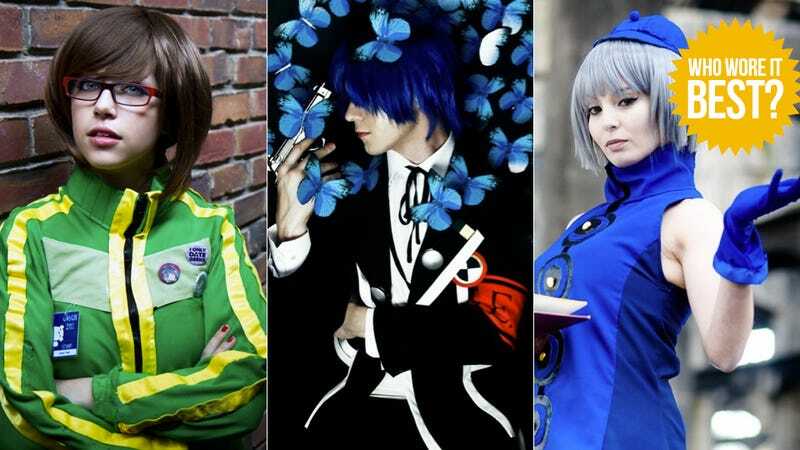 So, it's pretty easy to see why fans love cosplaying as characters from the Persona games—especially Persona 3 and Persona 4. As we do every Wednesday, here's a round-up of some—not all—of the best Persona cosplay the internet has to offer. Have a look and decide which one you think does the best job of bringing Persona to life. Click the lower corner of each image to expand to full size. For more on the Persona, check the series' wikia. Here are past round-ups from Kotaku's regular feature "Who Wore It Best?"